Prince Harry joined Meghan Markle and her mother, Doria Ragland, is a private box for the Invictus Games' closing ceremonies. There is no doubt now that the couple's official engagement announcement will be made by the end of the year, and the wedding will take place in summer of 2018. 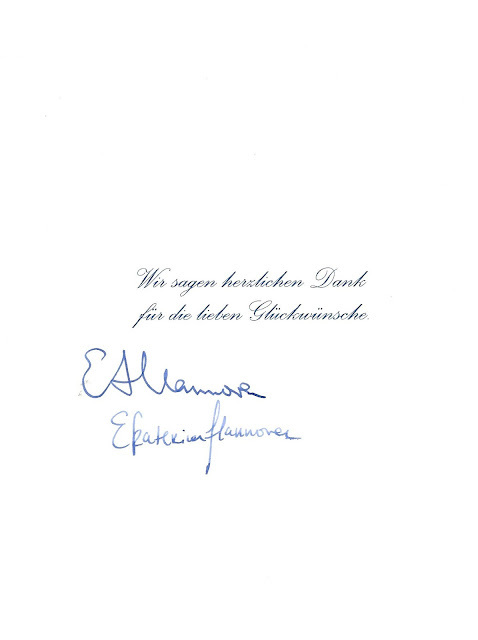 A thank you from the newly married Hereditary Prince and Princess of Hannover. Princess Maria Petrovna Galitzine married Houston chef Rishi Roop Singh in a civil ceremony at her parents home in Houston on September 24th. The officiant was County Judge Jimmy Sylvia. A reception at the Dunlavy restaurant followed the wedding. Maria Galitzine, 29, is the fourth of six children of Prince Piotr Galitzine and Archduchess Maria Anna of Austria. Galitzine is the CEO and Chairman of TMK Ipsco, a subsidiary of the Russian steel pipe giant OAO TMK. UPDATE: Maria and Rishi's religious wedding took place on April 22, 2018 at St. Jonah Orthodox Church in Houston, Texas. They have gone public ... they are ... of course, HRH Prince Henry Charles Albert David of Wales and Miss Rachel Meghan Markle ... better known as Prince Harry and Meghan Markle ..
At last night's opening ceremony for the Invictus Games in Toronto, Canada, Prince Harry sat with fellow dignitaries, while Miss Markle sat with one of her besties, Markus Anderson, a consultant for the Soho House Group, a private members’ club. Anderson, a Canadian, is said to be the person who introduced the couple in 2016. It was an AP reporter who spotted Miss Markle in the crowd. One of Harry's protection officers was not too far away from her. Today, the couple went public. Seriously. Earlier today, Miss Markle, a co-star on Suits, a series on USA, accompanied Prince Harry to the wheel chair tennis competition. The couple held hands! 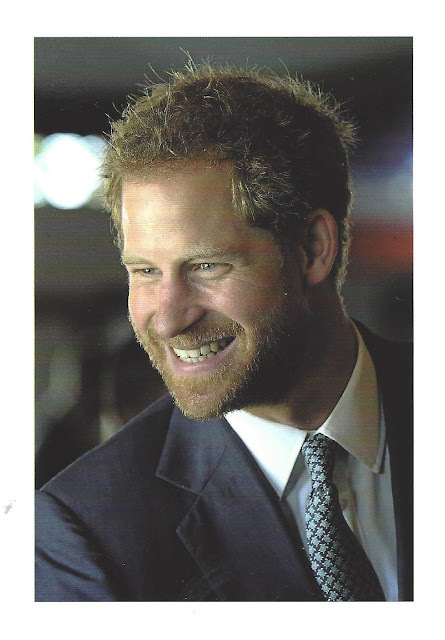 Yes, Prince Harry has an American girlfriend ... will she become his princess? My crystal ball broke years ago, and I have no plans to have it repaired. Harry's wife will have the status of a Princess of the United Kingdom of Great Britain and Northern Ireland because she will be married to a British prince. There will be an official engagement announcement in the not-too-distant future. Not tomorrow. Miss Markle is at work on what will probably be the last season for Suits. The series' filming should wrap up sometime toward the end of the year. Queen Elizabeth II and Prince Philip, Duke of Edinburgh, will celebrate their 70th wedding anniversary of November 20. I don't expect a grand gala event, but there will be a Service of Thanksgiving at St Paul's. The entire British royal family is expected to attend. Miss Markle's appearance as a fiancee would detract from the event. Miss Markle is probably already making plans (visa, for starters) to move to London. I doubt an engagement will take place before she has moved to London to begin preparations for her new life as a member of the British Royal family. She will be the second American woman to marry a British royal, but unlike Wallis Simpson, Miss Markle will have the style of Royal Highness. 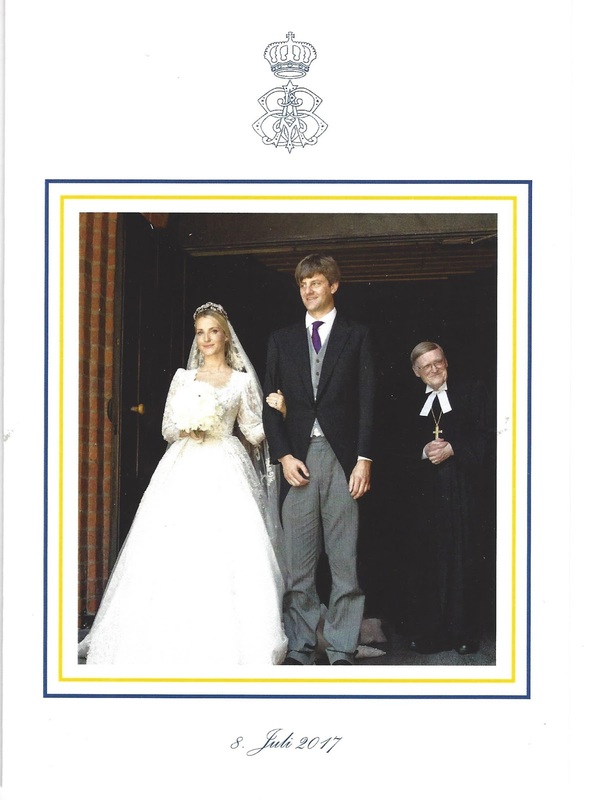 Prince Andrew of Russia, the eldest son of the late Grand Duke Alexander and Grand Ducehss Xenia, was married today to Miss Nadine McDougall, daughter of Lt. Col Herbert McDougall of Provender, Faversham in Kent. 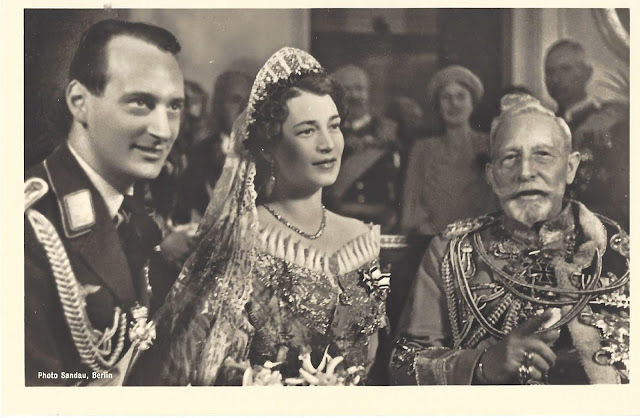 The wedding was a "blend of modern wartime England and the ancient regime of Czaristic Russia," according to the New York Times. The couple were married in two religious ceremonies, the first was Anglican, which took place in the bride's home church at Norton, in Kent. This ceremony was officiated by the Archbishop of Canterbury. This was followed by a Russian Orthodox ceremony at Sheldwich, where a Russian choir "sang hymns in their native tongue. " The bride was attended by three young pages. 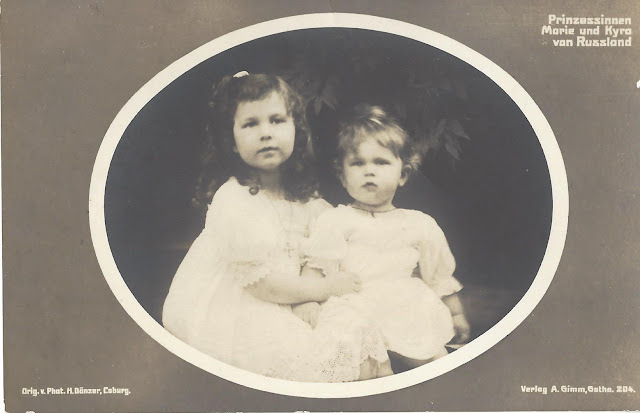 Viscount Throwley, the 2 year old of the Earl and Countess of Sondes; Robert Mercer, the nephew of General Ritchie and Jeremy Pemberton, son of Colonel and Mrs. Douglas Pemberton. The Countess of Sondes is the bride's sister. The bride wore a gown of "white satin, with a court train. 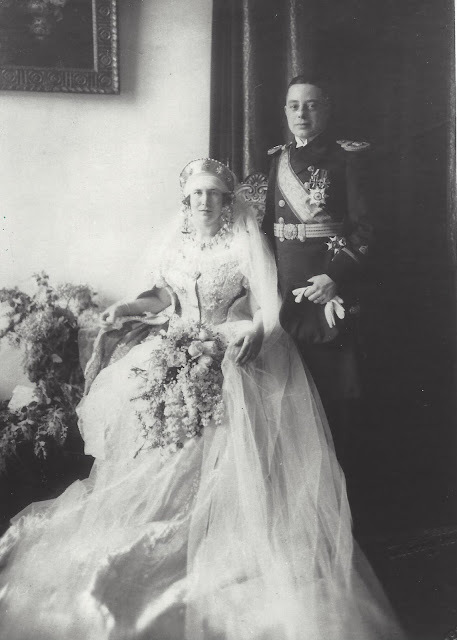 She also wore a "Russian headdress in pearls, with a long white tulle veil." The bride's father was unable to give his daughter away, as he is serving in Africa. 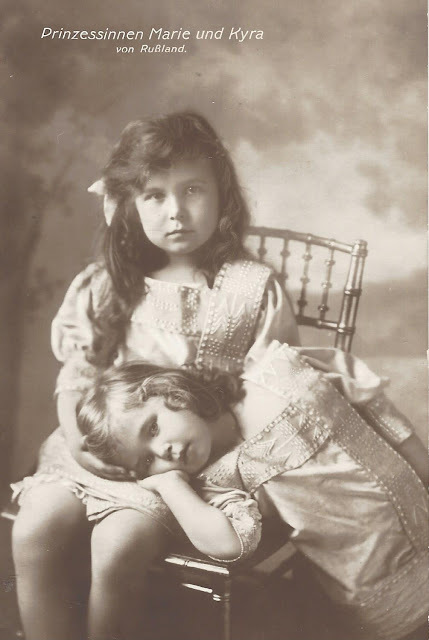 His brother, Major Arthur McDougall, DSO, gave her away at the Anglican ceremony, while at the Russian service, Robert Hodgson, who was the British agent in Nationalist Spain during the civil war, "served in the same capacity as Major McDougall. Prince Andrew's brother, Prince Dimitri, served as best man,. 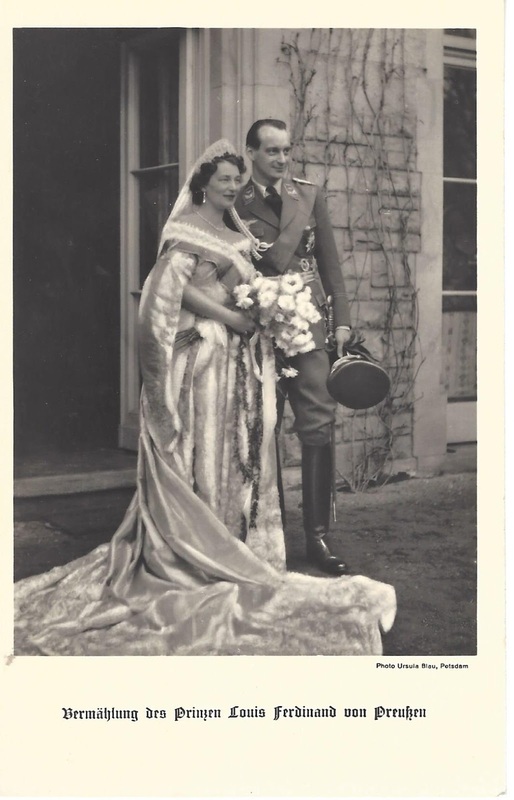 The reception was held at Lee's Court, Sheldwich, the home of the Earl and Countess of Sondes. 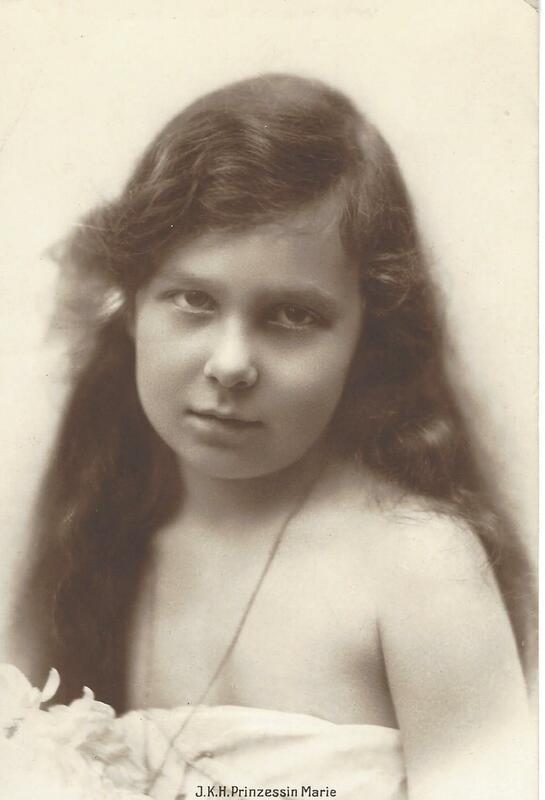 Prince Andrew's first wife, Elisabetta Ruffo-Sasso, was killed in an "air raid when a bomb hit Hampton Court." 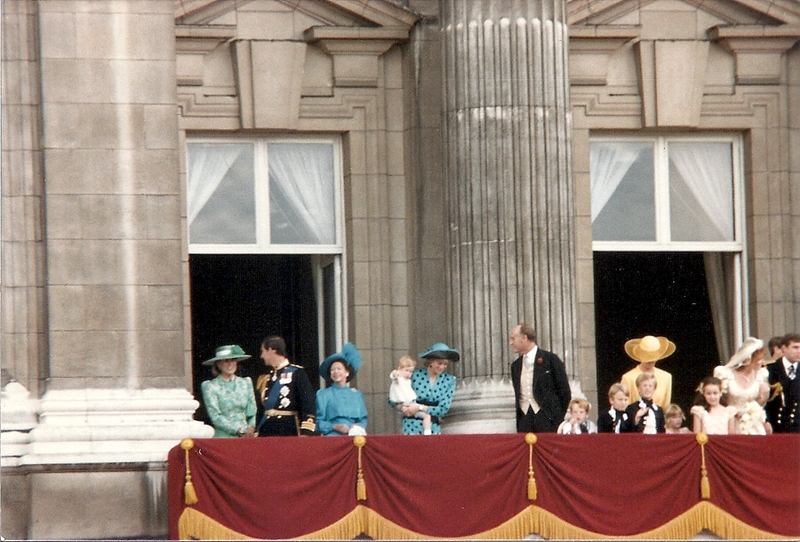 Prince Andrew is a first cousin of the late Emperor Nicholas II. 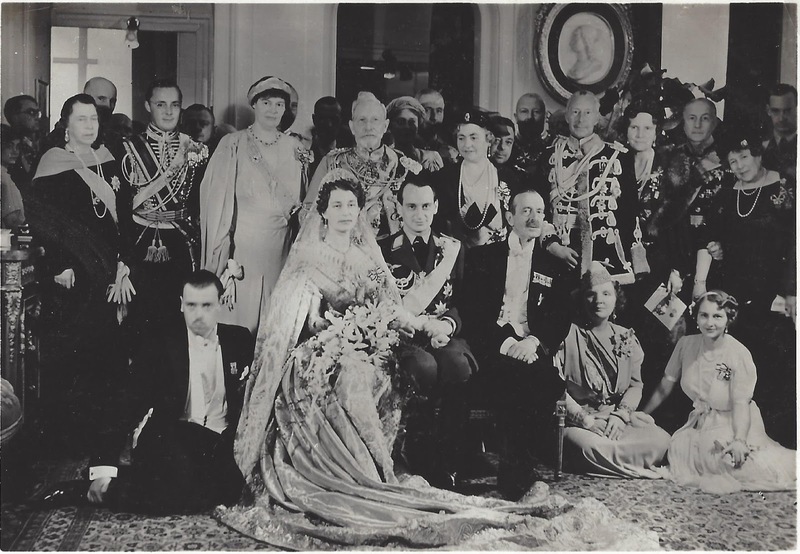 His mother, Grand Duchess Xenia, is a first cousin of the late King George V, as their mothers were sisters. 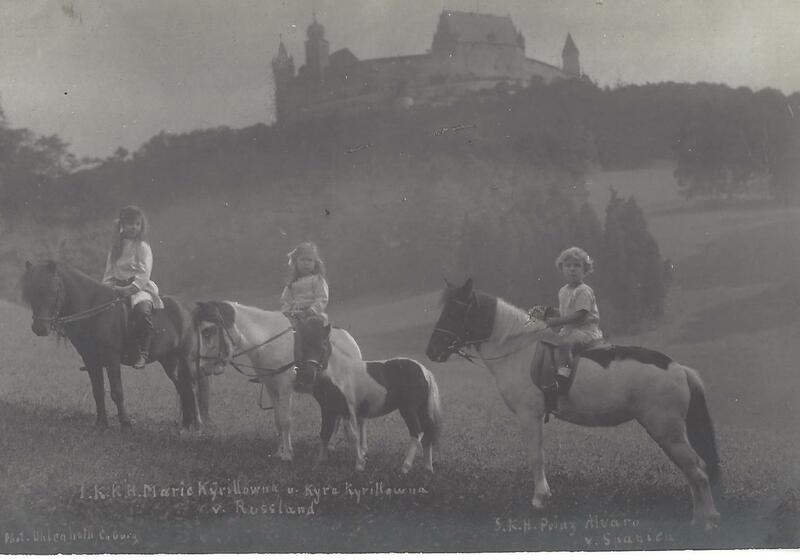 Grand Duke Friedrich of Baden's condition is said to be "hopeless," reports the Washington Post. A bulletin was issued at 4 p.m., and states: "No improvement has been noted in the grand duke's condition. The patient is weary and dozes much. Inadequate activity of the heart is showing its effects on the physical condition." 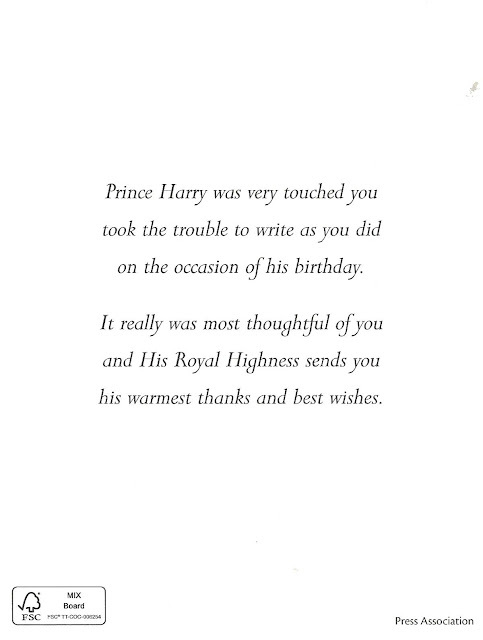 The Grand Duke is 81 years old. He is the third son of late Grand Duke Leopold and his wife, Sophie, daughter of King Gustav IV of Sweden. Friedrich became heir presumptive to the throne following the death of his father in 1852. His elder brother, Ludwig II, suffered from mental illness, and, Friedrich was named as regent. He held this position until 1856, when he was named as Grand Duke. Ludwig died two years later. 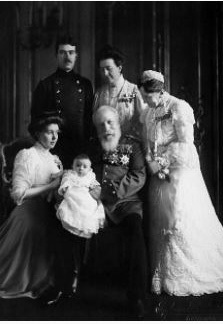 The Grand Duke is married to Princess Luise of Prussia, daughter of King Wilhelm I of Germany and Princess Auguste of Saxe-Weimar. They have two surviving children, Hereditary Grand Duke Friedrich, 50, and Victoria, the wife of Crown Prince Gustav of Sweden. 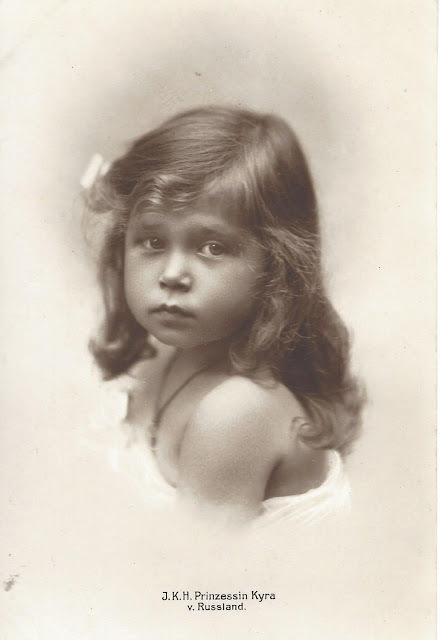 The Hereditary Grand Duke married in 1885 to Princess Hilda of Luxembourg. Their marriage is childless. 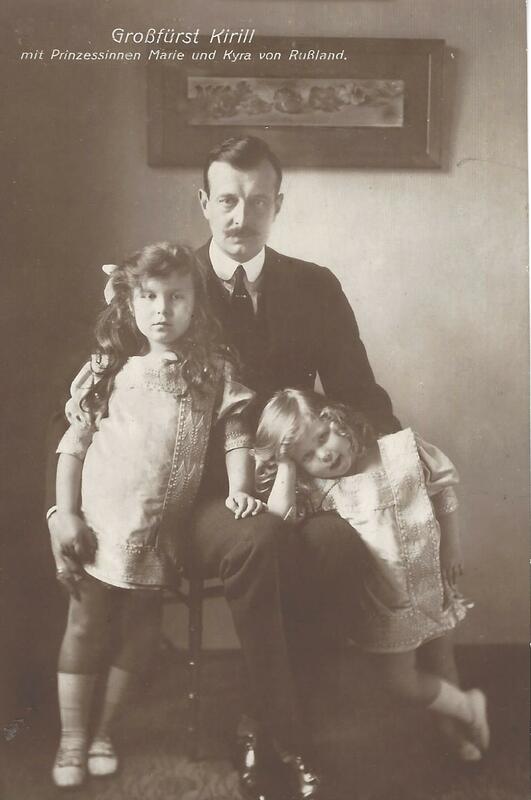 The second in line is the Grand Duke's nephew, Prince Maximilian, who is married to Princess Marie Louise of Hanover. 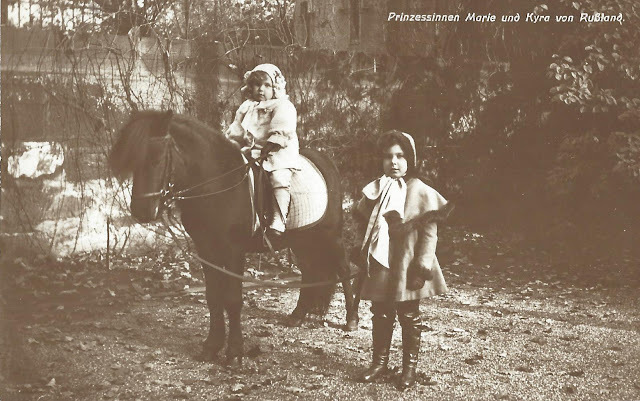 Prince Max is said to be on his way to Mainau, where the Grand Duke lays dying. 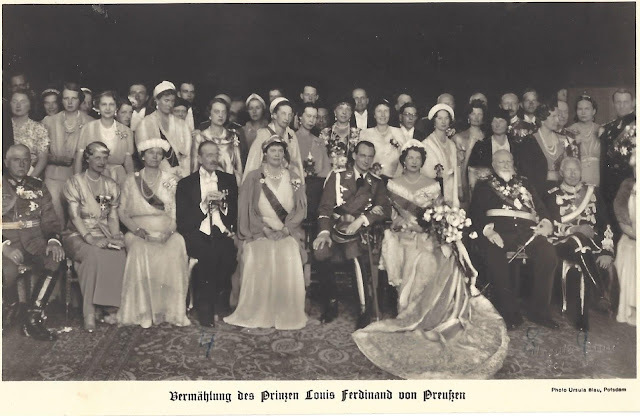 and even more photos from Ferdinand and Viktoria Luise's wedding ..
Princess Vanessa of Sayn-Wittgenstein-Berleburg and her husband Pieter Haitsma Mulier. 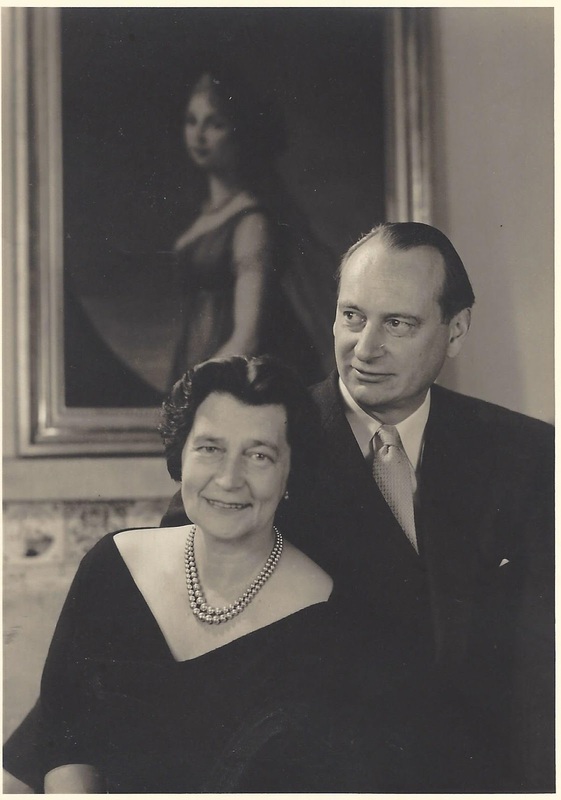 The Prince of Schaumburg-Lippe talks with the new Princess of Hanover. Behind them is Princess Eva Maria of Prussia, wife of Prince Adalbert. Here is another selection of photos from the wedding of the Hereditary Prince and Princess of Leiningen. Thank you, Ulrike. Danica Marinković, the fiancée of His Royal Highness, Prince Philip, has for many years been involved in promoting Serbia through her art as well as through the exhibiting activities of her father, Cile Marinkovic. This time, Danica participated in coordinating the participation of her father, artist Cile Marinkovic, at an art exhibition and an auction marking the 25th anniversary of the Academy of European Law (ERA). The prominent French art critic and curator of this exhibition, Christian Norbergen, made a selection of 31 contemporary artists and their works from 31 European countries. With Cile Marinkovic, who represents Serbia at the exhibition, it is important to mention that the Republic of Croatia is represented by the painter Dimitrije Popovic, while Montenegro is represented by the sculptor Zlatko Glamocak and the Republic of Slovenia by the painter Iztok Kostarec, and many others. In order to mark this event, a series of activities will be organized, including a major congress on the state of European integration. All works of art will be sold or auctioned during the 25th anniversary of the ERA premises as well as online. All art lovers and potential buyers will have the opportunity to compete for artists' works, get to know artists from all over Europe and know about their art. The Academy of European Law (ERA) is a non-profit public foundation established in 1992 and based in Trier, Germany. Its patrons include most European Union Member States. ERA contributes to strengthening the European integration process and provides a European forum for legal policy debate. The Academy offers opportunities for a sustainable professional development through networking, face-to-face training and distance learning in European law to judges, prosecutors, lawyers in private practice, business and public administration. During her art career, Miss Danica Marinkovic has been making a lot of efforts in order to promote her country abroad as well as to make new contacts and opportunities for domestic artists, especially young ones. Miss Marinkovic will marry HRH Prince Philip on October 7 at the Cathedral Church of St. Michael the Archangel in Belgrade, Serbia.